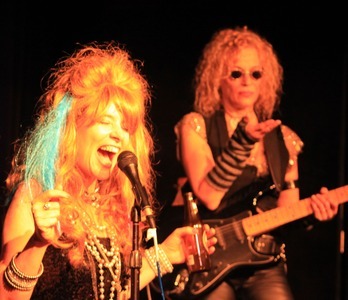 So, a couple of years ago now, August 2009 to be exact, I was part of a cast of a show called MoM, A Rock Concert Musicalwhich won Outstanding Musical at the New York International Fringe Festival. 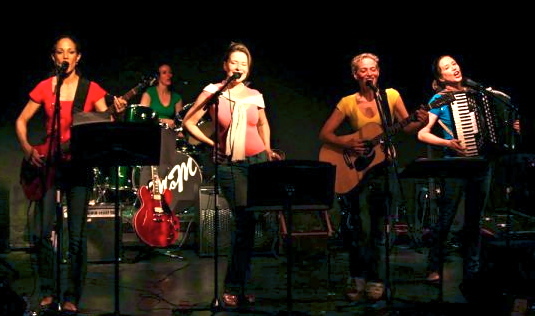 Out of 200 shows, we were one of ten brought into the Fringe Encore Series at the Actor’s Playhouse. 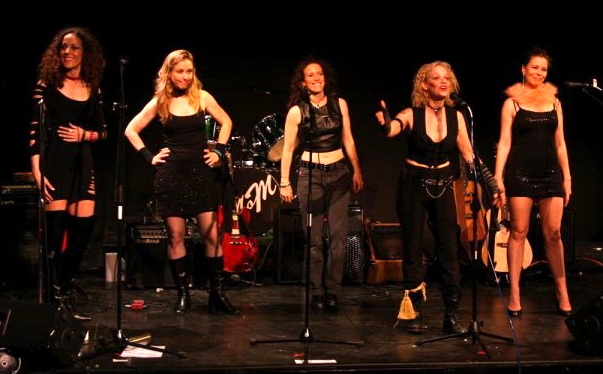 The following year we were given a run at the Playwright’s Theatre of New Jersey, where we were extremely well reviewed, and the following Spring we were chosen as one of 15 favorites of the NYFringe’s entire 15 year existence, and asked to perform as part of their anniversary celebration at the Laurie Beechman Theatre. We’re the little show that could. I am one of the 5 woman cast. The storyline is we’re bored house fraus who start a band to raise money for our kid’s high school. By a fluke, the band becomes a supernova. That’s really where the story starts. What do Superstar MoM’s do? How do they handle the pros and cons of uber success. Of course there’s been a lot of controversy about whether the play’s feminist or misogynist or various other ists. Mainly people seem to just have themselves a ball.